Senior advocate Amarendra Sharan, appointed amicus curiae by the Supreme Court in a petition seeking re-investigation of the assassination of Mahatma Gandhi 70 years ago, has stated that such a probe was not required. In his report to the apex court, Sharan has reportedly said that the theory pushed by the petitioner – Pankaj Phadnis, co-founder of Abhinav Bharat (an organisation inspired by the ideology of RSS and BJP icon Vinayak Damodar Savarkar) – of the presence of a second assassin on the day the Mahatma was murdered was without any basis. Phadnis had termed the investigation into Gandhi’s assassination as the “biggest cover-up” in the history of India. “The blame on the Marathi people in general and Veer Savarkar in particular for being the cause of the Mahatma’s death has no basis in law and facts. On the other hand, there is a compelling need to uncover the larger conspiracy behind the murder by constituting a new Commission of Inquiry to look into the issue,” Phadnis’ PIL had mentioned. Rejecting the contentions put forth by Phadnis in the PIL, the amicus curiae said that the Father of the Nation had been killed by Nathuram Godse. In his report, Sharan – who had been appointed amicus curiae by a Supreme Court bench of Justices SA Bobde and L Nageswara Rao in October last year – has concluded: “the bullets which pierced Mahatma Gandhi’s body, the pistol from which it was fired, the assailant who fired the said bullets, the conspiracy which led to the assassination and the ideology which led to the said assassination have all been duly identified.” Sharan adds that no substantive material has come to light to throw any doubt on the investigation of the Mahatma’s murder. For the purpose of his report, Sharan, assisted by advocates Sanchit Guru and Samarth Khanna, had examined nearly 4,000 pages of trial court records in the assassination case, besides the Jeevan Lal Kapur Inquiry Commission report. The PIL filed by Phadnis had claimed that there was a “fourth bullet” that had pierced the Mahatma’s body the day he was assassinated (January 30, 1948) and that this bullet was fired by a second assassin and not Nathuram Godse, the man widely believed to be the murderer of the Father of the Nation. 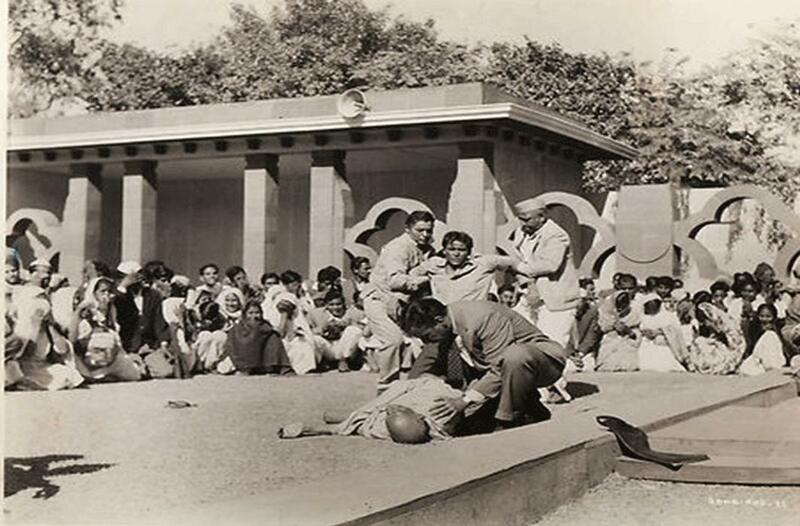 Godse, along with an associate, was hanged for the assassination. The RSS, the parent organisation of the BJP, was subsequently banned by Sardar Patel, the then Deputy Prime Minister and Union home minister, in February 1948 for its role in fomenting an atmosphere of hate which played its role in precipitating events. While rejecting the need for a re-investigation or a fact-finding commission to look at the Mahatma’s assassination afresh, Sharan has noted that he received a letter and an affidavit on December 2, 2017, of one Dr Nene who claimed to have treated the so-called second assassin of the Mahatma in the late 1950s. The amicus curiae’s report has also junked the alleged involvement of a foreign intelligence agency in the assassination, and stated that the petitioner’s claim was not substantiated by any evidence. Phadnis had earlier filed a similar petition before the Bombay High Court in June 2016. However, the court had then rejected Phadnis’ demand for a fresh Commission of Inquiry in the assassination case. With Sharan having submitted his report, the PIL is now scheduled to come up for hearing before the Supreme Court Bench on Friday (January 12). It may be recalled that several distinguished citizens of the country, including the Mahatama’s grandson Gopalkrishna Gandhi and great-grandson Tushar Gandhi have voiced their opposition to Phadnis’ demand for a fresh probe in the assassination case, raising concerns over the possible political motive behind such a move.